1. 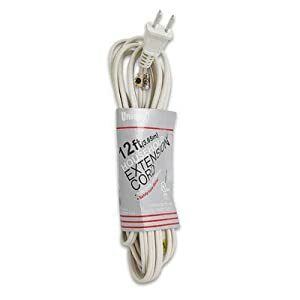 12ft extension cord – A brand new, white, classic extension cord. I have no idea why this was in my office, so I suspect a conspiracy… Was it you??? Come on, people. Fess up! 2. A giant food container for a cake – Admittedly, this has been in my office since December. But you know how things sometimes mysteriously fade into the background? Even though this thing is the biggest rubbermaid food container I’ve ever seen, I’ve really procrastinated getting it back to it’s rightful owner. It is my wife’s aunt’s container, as she is an excellent cake baker. She made a cake for Michelle’s grandmother’s 90th birthday, but snow canceled the event, and we ended up with the cake container. Really need to give that back! 3. A box full of Xbox 360 paraphernalia – Our Xbox 360 took a direct hit when my daughter was landing a cartwheel in our living room. It had been slowly dying, and that was the final blow, at least for the disc tray and reader. The errant cartwheel caused the Xbox to score two rings around my son’s precious Minecraft disc. My brother let me borrow his disc scratch fixer, and after a good workout turning that wheel, we decided the scratches on the disc were too deep. We bought a new disc, as well as a used Xbox from a friend at church. But we needed to figure out how transfer our game data from the old to the new. So I boxed up all the equipment and now hope to download the data to a thumb drive. The thing is, the Xbox works great for internet! If you do not have a smart TV, all you need to do is spend $60 for Xbox Live, and you’ll have internet TV for a year. With no cable we were impressed with all the cool free TV that is available through Xbox apps: ESPN, A&E, History Channel, National Geographic and more. Works great if you have a Netflix account too. It also has a Kinect sensor and bigger harddrive. Just don’t expect to play any games by disc. So if you want it, let me know. We’d part with it for a very good price! Get rid of cable, throw an antenna up on your roof, and you’ll have all the TV you need. 4. Jr. Church Lesson papers – I teach our elementary kids Sunday School class every 5th Sunday, which is only 4 times per year. Normally our elementary-age kids are dismissed from worship around 10am, usually just before the sermon. But on the 5th Sunday they stay in worship to get used to being a part of worship. In July and August we give our teachers a break, and the kids stay in worship every Sunday those months. Normally I lead our sermon discussion group during our Sunday School hour. But on the 5th Sunday someone else leads it for me, and I lead a sermon discussion for the elementary kids. Our Children’s Ministry leader found a really great website with loads of resources, so I downloaded papers that had a game we played yesterday. It is so much fun spending time with the kids!!! 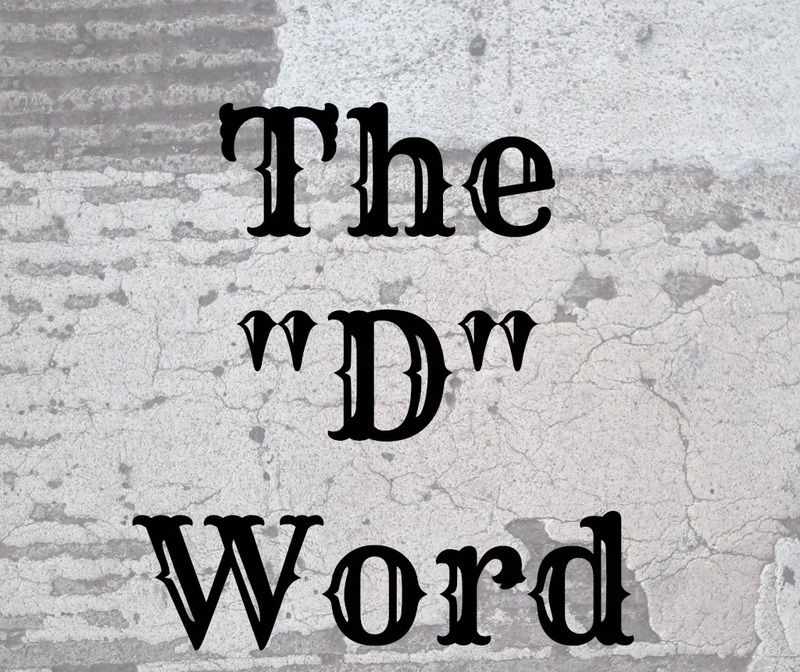 I hate the “D” word. I also hate the “A” word. They are very similar, and they are both painful. This week as we continue our study of 1st Corinthians, Paul continues confronting the Christians in the church of Corinth. Interestingly, the Lenten Compact intersects with the sermon. Paul has heard about a pretty dicy situation going on in the church. The situation is racy enough that we decided, even though this is the 5th Sunday of the month and they are supposed to stay in the sanctuary for the sermon, we are dismissing the elementary kids to their normal teaching time. You can preview it if you want. Just read 1 Corinthians 5. Paul is bold in his response to the situation. It raises all sorts of questions about church discipline, accountability, excommunication. We live in a community where shunning is very much a part of regular conversation because of the Amish. In fact, the Amish use this passage as a basis for how they practice shunning, when they refuse to eat with someone shunned. Maybe you have been privvy to the creative ways they get around this, like saying a shunned member of their church can’t eat at the main table, but can eat at an extension of the table. Sound legalistic? So how do we practice church discipline and hold each other accountable in a healthy way, in a loving way, in a way that is restorative and faithful to God? As the Lenten Compact devotional suggests, we’re going to have to see what was the potential end of the story in 2 Corinthians 2. Join us! 1. Spiritual Gifts Tests and a note about a Grief class – I wonder how many of you have taken one a spiritual gifts tests before? You answer some questions, tally up the answers, and voila, you now know how God has uniquely gifted you. Or maybe not. It’s just not that simple. Last week, I was doing some searching online for spiritual gifts tests, and I printed a couple to evaluate. The reason is that the church is having elective classes during the month of April, and I am teaching one about spiritual gifts. I was thinking about looking at the various biblical passages that talk about gifts, but since we’re going to cover that, at least partially, in the 1st Corinthians series later this year, I decided to go a different direction. PLACE Ministries has a very unique, holistic approach to evaluating spiritual giftedness. Each letter of the acronym PLACE stands for an element of who we are as persons: Personality Discovery, Learning Spiritual Gifts, Abilities Awareness, Connecting Passion with Ministry, and Experiences of Life. I think it is going to be a wonderful study. We also have some great other elective classes you can join: a Grief discussion group (which is what the note was about…a planted note, I think!…just to see if it got mentioned in this Monday Messy Office Report??? ), a video series on the Apostles Creed, and the Multiply Movement. 2. Concert posters – A long-time member of our congregation is turning 80, and instead of celebrating with a party all about her, she decided to have a birthday concert to glorify the Lord! Pretty cool, huh? You’re all invited. On April 12, 2pm, join us at Faith Church for a concert by Brenten MeGee, a Lancaster Bible College music student, as he sings some of the great hymns of the faith. I put up the posters around the church. You may love hymns, but you also might not, which is okay. How about coming to the concert to express support for someone turning 80 who just wants to praise the Lord! 3. Race bib – I wore bib #388 on Saturday at the Buckskin Breakout 5K. Since the spring of 2010 I have been running races, almost all of which have included people from the church. The Buckskin Breakout was no different as my son and a close friend from church ran together. My son beat me! So did my friend, Brandon. We have run countless 5Ks, a half marathon, and two marathons. If you told me five years ago that I would be doing all that running, I would have laughed. Here’s the story of how it all got started. I keep all my race bibs in a file in my office. On the back of each one, I write the date and time. I have two more 5Ks in the next two months, then training begins for the Bird-in-Hand Half Marathon, September 6th, the date of my 40th birthday! For the last couple years we’ve taken one Sunday to worship in near total silence. Aren’t we supposed to erupt in praise to our Savior? Don’t the Psalms remind us to celebrate our Lord in song, with instruments, and loudly? So why would we want silence? 51 out of 52 Sundays we worship the Lord with many different kinds of sounds. Musical instruments, voices in song, the spoken word. We love to get loud! But on this one Sunday, we worship in silence. In our noisy culture, silence is hard to come by. As I was typing this, it struck me that my iTunes wasn’t playing music. I had paused it while making a phone call a few minutes ago, and forgot to turn it back on. Something didn’t feel right! It was too quiet. I needed music. So I hit the play button, and the tunes are back. Notice something wrong with that? Do I really need music? Music is probably not the issue. Music is an amazing, wonderful thing on so many levels. What felt amiss was not the lack of music, but instead the quietness, the lack of background noise. When I’m driving in the car I don’t feel right if I’m not listening to something on the stereo. What is missing? Have we become so accustomed to noise in our lives that we have become emotionally dependent on it? Is it possible that this noise may be filtering out the important elements of silence? When we give ourselves to silence, we listen for the voice of God. Our world is so noisy, his is a voice we rarely hear. So on Silent Sunday, we enter into the silence, we do battle with the unease our bodies feel as they crave noise, and we restrain ourselves that we might hear the Lord. This year Silent Sunday will be different from previous years. As with previous years it will not be 100% silent, but will include a few calm, audible elements. Will you join us at Faith Church on 9:30 am for Silent Sunday? Those of you who have experienced a previous Silent Sunday, perhaps you’ll leave a comment about how it has been meaningful to you. What advice do you have to share about how to push aside distraction and enter the silence to hear from the Lord? Know what all those letters refer to? But How do you know what Jesus would do if you don’t know what Jesus did? Is it as easy as just reading about him in the Bible? That’s a good start, but in our next section of 1st Corinthians, perhaps Paul is saying that we need something more. We need WWPD. What Would Paul Do? 1. Credit Card Statement – This came in the mail over the weekend. Four of us staff have church credit cards, and we use them for church ministry expenses. When we make a purchase, we keep the receipts, so that when the statement arrives, we attach the receipts to the statements, matching each purchase with a line item in the church budget. Then we give the statement to the church treasurer, and he pays the bill. Each month as I’m stapling receipts to the statement and scouring the church budget to find the correct line item, I think “Is the church a business or a ministry? Or both?” I’ll admit that I’m not a big fan of the business side of the church. I can spend a lot of time doing paperwork, financial reporting, and the like. I hear people say things like “it’s a necessary part of the church these days.” But is it? I’d be interested in your thoughts. 2. Thank you note – A family that lives in our church’s immediate community had a tragic accident a few months ago. One of our Faith Church families is very close long-time friends with the community family. So the family from our church suggested that the church take up an offering to help with aftermath of the accident. It was an awesome idea, and I’m so proud our Church Council approved it and that our Family of Faith Church responded generously. The community family wrote this in a thank-you card that came in the mail over the weekend: “We cannot thank you enough for the wonderful gift you have given us during this difficult time. It is much needed and greatly appreciated. All of the help and support we have received from not only family and friends but from people such as yourselves who do not even know us has restored our faith in humanity and reassured us that the Lord is constantly working in our lives, even at the most trying and desperate times.” Awesome! 3. Check from sign language class – One of our Family of Faith teaches sign language classes at the church, and she dropped off a check to pay for building use. It reminded me that we have so many groups using our church, and I’m thankful the church is willing to let the building bless people that way. The church is not a building. It is the people who are the church. But our building is a gift from God, a gift that many people over the years have given lots of time and energy and money to build and maintain. So we see our building as a tool through which God can show love to the community. We try to offer the building to groups either free or at a minimal charge. In addition to sign language class, we have martial arts classes, a drama ministry, ballroom dance, Girl Scouts, and an Ethiopian church using our building every week. Many other groups use the church here and there for one-time events throughout the year. Who do you act like? Would you say there is someone that you are trying to be like? Jesus? That’s always a safe answer. You’re angry at your favorite sports team for bombing a game, you want to curse at the TV? What would Jesus do? Your car has been acting up for months. You see a cool car commercial, and you think how good it would feel behind the wheel of a new one. What would Jesus do? Sometimes it is hard to know what Jesus would do. He was never married, never had to deal with the internet, and was only 33 years old or thereabouts when he died. How in the world are we supposed to know what we he would do all the time? It’s a good question, I think, and one that is not easy to answer. But in our next sermon in the 1st Corinthians series, Paul talks about WWJD, and how to know just what it is Jesus would do. Kinda. Okay, he doesn’t mention WWJD at all, but I think you’ll see why I brought it up. Brace yourselves. Paul is done playing nice, and with this section of 1st Corinthians, he gets fired up. You actually might not be all that happy with Paul when you read this. I know I was thinking “Whoa…is he allowed to talk like that?” WWJD? Would Jesus talk like that?